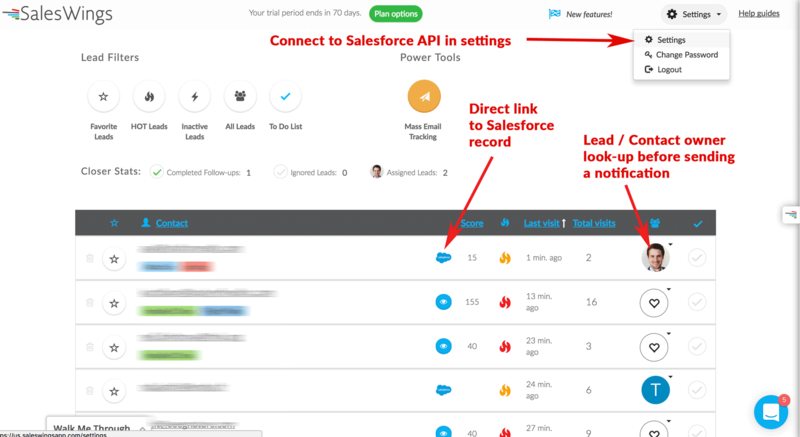 Here you learn to connect Salesforce to SalesWings to ensure that data, lead / contact owners and everything else is synced. SalesWings is designed to run stand-alone thanks to its notification engine, as well as a complement to CRM. A Salesforce Administrator needs to first connect SalesWings to the API - once for the entire SalesWings account. This will make sure that SalesWings looks up the Salesforce lead, contact or person account owners, and assign the leads in SalesWings to the right person - to notify the right person about interested lead activity. Furthermore, this will provide a direct link to the Salesforce record! This requires the Salesforce Enterprise plan with API access or any other Salesforce plan with API access. SalesWings will only accept lead, contact or person account owners who have an active SalesWings licence with the same email address as the Salesforce user account. Otherwise SalesWings will ignore the Salesforce owner and leave the SalesWings lead assigned to the current owner. 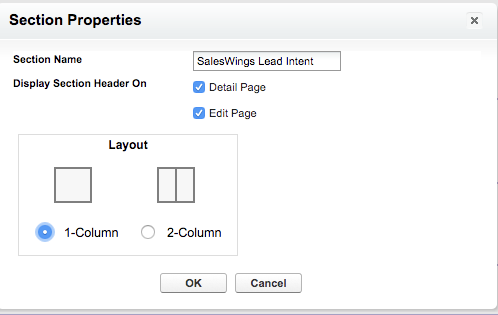 You can customize your Leads or Contact Layout by adding SalesWings related fileds at the place of your choice. 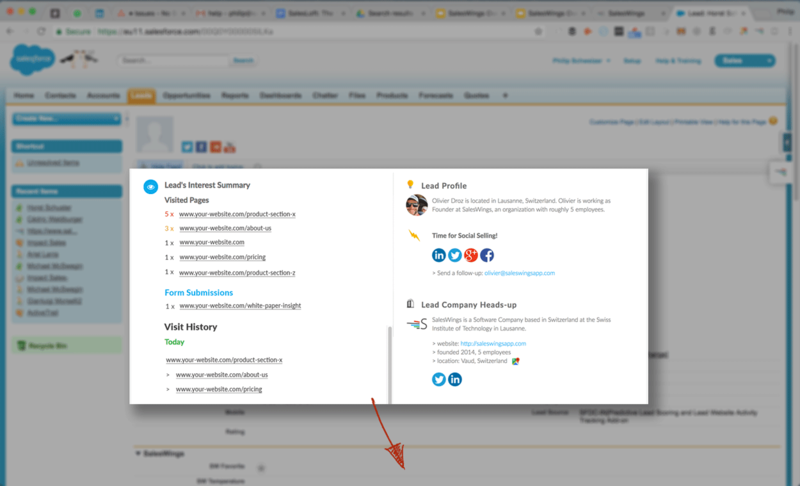 Since SalesWings for Salesforce version 1.30, you can add a VisualForce page to show your leads detailed interest and a related list containing the summary of all your record's website visits. In the Visualforce Pages, look for "SW Website Visit Summary" and drag it into the newly created section. 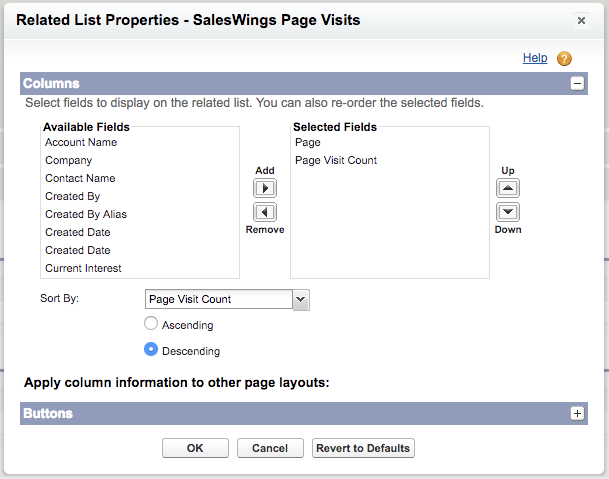 Move to the related lists section of the layout builder and look for "SalesWings Page Visits"
Drag it into the Related Lists section in your Layout. 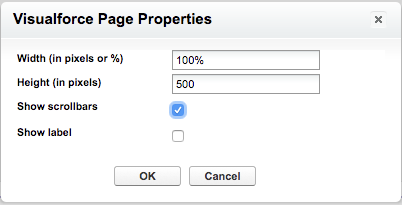 Hit the toolkit to edit the properties of the related list and show only the "Page" and "Page Visit Count" filds. Sort By "Page Visit Count" in a descending order. Only Salesforce users with a valid SalesWings licence will be able to see Saleswings data inside the CRM.